Event will provide expert analysis on the economy with insight from local, national and global perspectives. 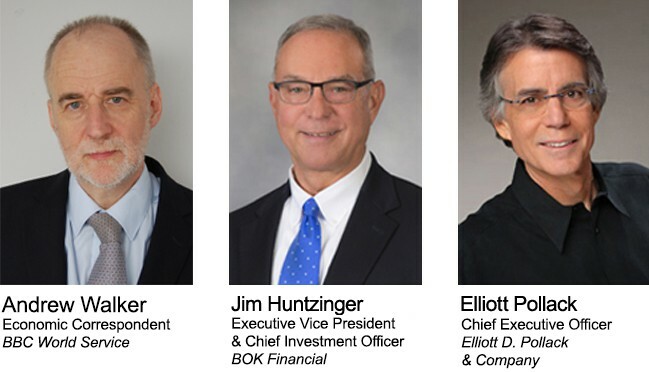 The Greater Phoenix Chamber of Commerce (GPCC) and Cox Communications will host top economic experts at Economic Outlook 2017 on Tuesday, Oct. 11, 2016, at the Arizona Biltmore, A Waldorf Astoria Resort. Veteran Arizona economist Elliott Pollack, national economist Jim Huntzinger and BBC Correspondent Andrew Walker will provide expert analysis and offer tremendous insight from local, national and global perspectives to help business leaders navigate the changing economic landscape of 2017. What are the expected repercussions of BREXIT, the British referendum vote to leave the European Union? What sectors will drive U.S. economic growth? The national unemployment rate is down, but is job growth growing? How solid is national consumer confidence? What is the equity market’s prediction for the presidential election? What is the commercial real estate forecast for Arizona? How does Arizona’s economy look for 2017? WHAT: The Valley’s premier economic forecast event, Economic Outlook 2017 provides attendees with valuable insight into what challenges and opportunities lie ahead to prepare for success heading into the new year. MEDIA: Media are invited to attend at no cost. Register via email to jbrownley@phoenixchamber.com.